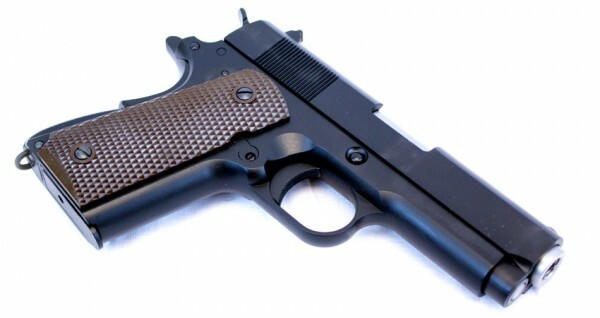 WE 1911 A Mini GBB Airsoft Gas Blowback Pistol. 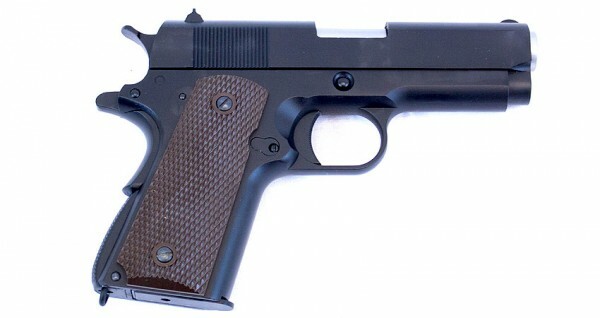 This is the most compact WE release from the 1911 family. It is ideal for players who do VIP protection, PSD, CQB close combat gaming and need a small, powerful pistol. The 1911 A Mini is truly a pistol that is build to impress. The finish, performance, look and feel is top of the line in the Airsoft industry today. 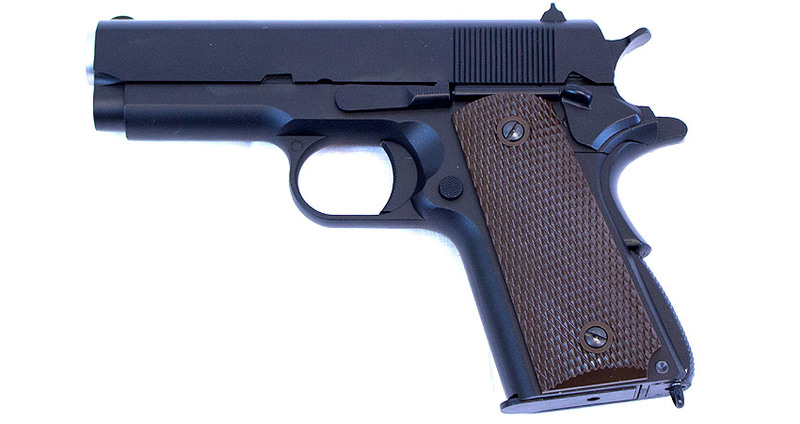 The WE 1911 A Mini is heavy weight and constructed with great reliability. 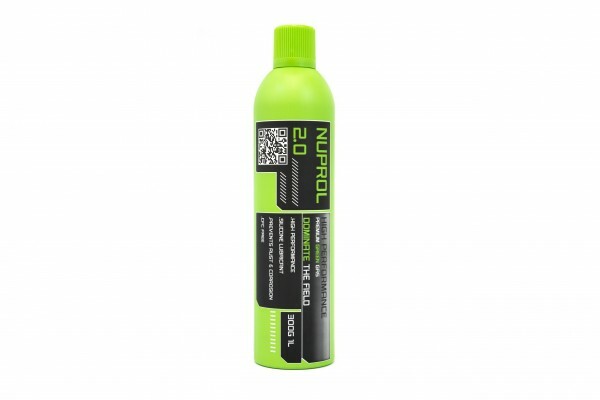 It is able to take nuprol 2.0, Nuprol 3.0 gas, propane and other high pressured airsoft gas. The front and rear sights are done professionally and finished with the quality you would expect on a real steel. Lots of upgrade / spare parts available so it will virtually never go out of service on you. Dimensions: 160mm length x 130mm width. System: Gas BlowbackBB: 6mm 0.20g or heavier. Mag Capacity: 16+1 rounds (6mm Airsoft BBs). Features:- New Megaflow Internals! 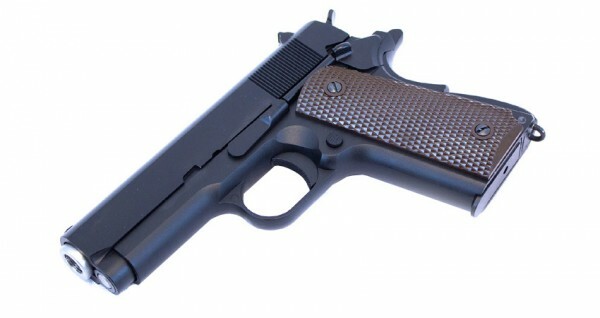 Hardest Recoil, Strongest Kick!- Traditional 1911 type checkered grip panels pre-installed.- On frame magazine release and low profile combat thumb safety with beaver tail.- Built in low profile GI type shooter's rear and front sight.- Full Metal frame and slide with rear cocking serration.- Short GI type combat trigger.- Arched mainspring housing with built-in lanyard loop.- Metal reinforced outer barrel, chamber, recoil spring guide rod, on frame safety, slide stop, hammer and trigger.- Realistic Blowback Action.